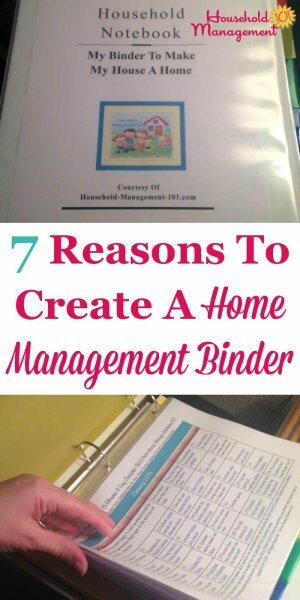 It seems like every household management guru says you should create a home management binder, also known as a household notebook, or some other variation on that name. I know for the longest time I asked myself, why should I go to all that trouble? 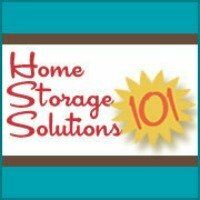 What can it really do for me and my family? Then, I gave in and created a household notebook (actually, I created 3 or 4 different ones until I figured out what worked best for me and my family), and I finally saw its benefits. Creating a household notebook for the first time is a concrete manifestation of your desire to improve things in your home. 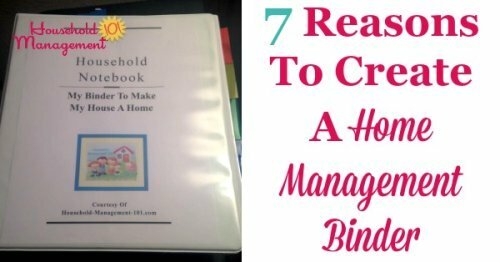 Creating a homemaking notebook also causes you to sit down and plan and set goals for your family and home. Getting everything gathered together in your homemaking notebook helps you think about how all parts of your home and family members' lives fit together, like so many pieces of a puzzle, and to make sure you pay attention to all the puzzle pieces adequately. 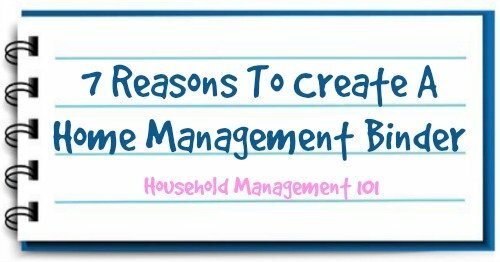 Once you create your household management notebook you do not have to waste time trying to decide what to do first, or next. Instead, you have a plan, and you can work your plan. Being able to put your finger on any piece of information needed, either in an emergency or in an everyday moment makes your life, and the lives of your family, so much more peaceful. Sharing your household management binder with all the members of your family allows everyone to get involved as a team in taking care of your home and each other. 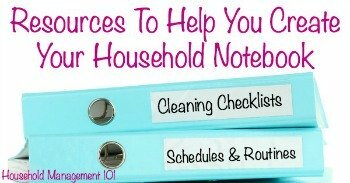 Most importantly, creating and using a household notebook helps you enjoy your home and family -- the ultimate goal of household management. Want To Buy A Household Notebook Made For Moms Like You? 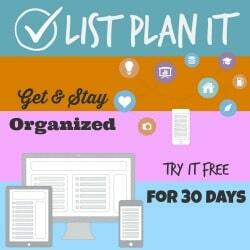 I recommend List Plan It, which has over 500 household printable checklists for all types of areas of your life, all made with a mother's needs in mind. They don't sell the notebook all put together, but it has all the printables you will need to print off and quickly and easily make your own. If you are too busy to make your forms and checklists there is no reason to put it off until later, when you have time, because who knows when that will happen, right? You can see my review of List Plan It here.